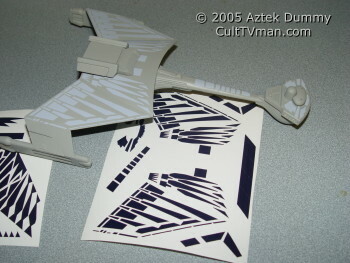 This set will allow you to recreate the D-7 battle cruiser as seen in the DS-9 Episode “Trials and Tribblations”. This set is also about options. 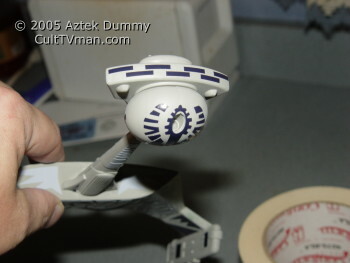 You can choose to paint your D-7 using the traditional Aztek Dummy Method or you can choose to leave the vinyl in place and paint right over it. 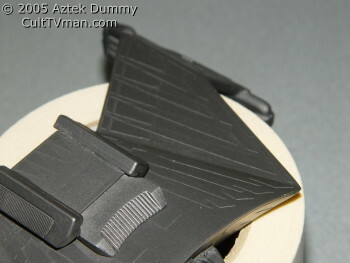 At the scale of this kit, the vinyl acts as the subtle level of plating that was evident in the episode. No need to worry about peeling up the paint, ‘cuz the vinyl never gets peeled up! Comes with illustrated instructions.